The different Mexican and Central American distributors shared their business vision and the challenges that the Automotive Refinish market will face this year. On the other hand, the BASF team introduced several business possibilities at both product and industry levels with the Glasurit and R-M lines as well as the market diversification by presenting the best practices that are currently in place, not only within the automotive refinish sector, but also in the industrial field. This includes the alternative products typically within the reach of BASF coatings. Additionally, the Marketing team introduced a Limco repositioning campaign, which seeks to further increase the presence of this line in the market. Besides the participation by our commercial distributors and partners, the meeting also contemplated the attendance of Denise Kingstrom Fernández, Distribution Director for the EC Refinish business in North America. Thus, the opportunity of a closer approach between her and the distribution network occurred with the purpose of listening to their needs and to work together in order to reach the intended results. Sylvia Figueredo, EC Strategic Marketing Manager, was in charge of presenting the current business scenario, as well as the introduction of the topics prepared by the Mexican Refinish Team to be addressed by the distributors during the sessions organized throughout the day. The overall event was encompassed by the current topic: football soccer and the World Cup. Thus, integration activities were organized within a track, so the participants could play penalty-kicks, regular table soccer or its giant inflatable version. 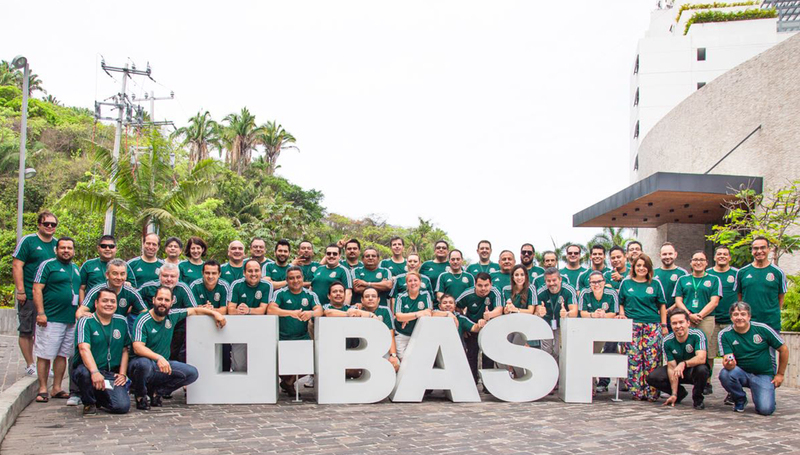 At the end, the participants created phrases to cheer their respective teams and the first three places won a trophy made by Mexican artisans that consisted on with bolts, screws and metallic pieces in the shape of a Formula 1 racing car. The Meeting closed with a dinner in which all distributors were able to interact, to exchange opinions concerning the event and to share business and professional experiences. Both, the refinish team and all distributors, are currently preparing for the end of year so that they can score that ‘goal!’ that will give them victory.